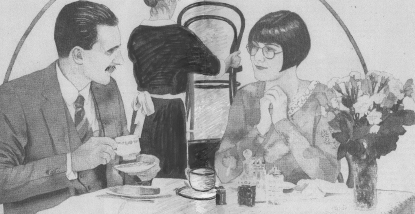 Keith and Carole Tomlinson invite you to their delightful little restaurant. Over 21 years of producing delicious homemade food. Open Monday to Saturday inclusive at 7 p.m. As there are only four tables and you are cooked for and served solely by the owners, booking is essential. Telephone (01271) 866833. TIP:The nearest restaurant to ‘Coastal Fringes’ therefore popular with our guests. Relish Bar and Bistro is located in the heart of Fore Street Ilfracombe’s oldest street, set in a historic building. The restaurant seats up to 30 people, has a cosy and vibrant atmosphere where the focus is on fresh quality food. Open from 6 p.m. everyday except closed on Wednesdays most of the year, however in off-peak times please call for confirmation. Basils serve freshly cooked, locally sourced food in an intimate friendly atmosphere, it is an ideal setting for a romantic meal. A variety of dishes to cater for all tastes are served. Devon steaks, local fish and seafood & always a selection of at least 3 vegetarian main courses, specialities include Lamb Kleftico, a slowly roasted lamb shank in red wine & vegetable & mussels cooked in white wine & cream or cider and bacon. TIP:They are open for a light snack and glass of wine as well as a full meal with dishes including a duo of homemade hummus & Greek salad or a selection of olives. Your hosts Kate and Paul are open year round (summer hours Tuesday – Saturday 10 a.m. – 2 p.m and from 6 p.m. and Sunday 11.30 a.m. – 2 p.m.). They have both lunch and evening menus that concentrate on delivering fresh, homemade dishes using locally sourced produce. Kate is a fully qualified chef who has worked both in Britain and abroad. Both menus lean towards traditional British but with Mediterranean influences, (For example the seafood stew and Aubergine Bake on the evening menu). They also have special boards that change daily (the specials can be more international in flavour e.g. Mexican, Indian etc.). Dishes are cooked to order (with vegetables steamed to order). More details of menus etc. are found on their website. TIP:Booking is highly advised in summer and in December. Opening Hours: High Season; April – September Tues – Sun from 7 p.m. Low Season; March & October to December Wed – Sat (Please call to confirm opening hours particularly in off season.. TIP:They specialise in fresh local fish & seafood and Exmoor steak. A small family run establishment near to Ilfracombe’s famous harbour. Tara & John offer a friendly intimate eating experience. The restaurant has only 20 covers and is therefore perfect for a quiet meal or small party or gathering. Fish is locally sourced and the meat is sourced from Exmoor.